With tourism still slow domestically, trips to the Hawaiian islands can still be bargains if you plan ahead and shop around on the Internet or use a good travel agent. During shoulder seasons airfare can run as low as $400 from the West Coast and lodging can, depending on the level of amenities, range from $100 to $400 a night. While we have spent most of our Hawaii time on Maui in recent years, this spring we decided to try the island of Kauai. The island has been used in movies from "South Pacific" to "Jurassic Park" to several movies with Elvis Presley. At the time we visited George Clooney was in Princeville filming "The Descendents." And local residents were eagerly anticipating Johnny Depp who would be arriving soon for his fourth "Pirates of the Caribbean" movie. 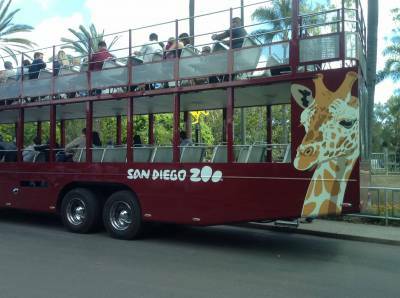 Visitors can even take a Kauai "Movie Tour" bus around the island and check out the filming locales). The largest town and the principal airport is Lihue on the southeast shore. Lihue is a small town that appears to be sliding down a hill into the ocean were it not held back by the overgrowth of vines clinging to buildings and anything with a vertical height over two feet. As we were staying for two weeks, we stopped at the island's Costco for supplies. This warehouse store is about ten minutes northwest of the airport. Although we were very familiar with Costco stores, we were unprepared for dodging wild chickens with our rental car in the parking lot. Hmmm ... something was very different here. There are two major resort areas on Kauai: Poipu, on the south point of the island not too far from Lihue and Princeville on the north coast. We were headed north. Highway 56 winds around the east and north side of Kauai and passes through small towns like Kapa'a and Wailua. Traffic was slow- 25 miles an hour in many places, lower in the numerous construction sites. We crossed several rivers flowing into the ocean to the right. But the wonder was in looking to the left and imagining the sources of the streams and what views are to behold on their way down these oldest mountains in Hawaii. Local adventure outfitters provide both ocean and river kayaking experiences in the interior and along the rivers. A cursory look at a map shows the Hawaiian islands extending like a series of sprayed paint drops on a field of blue from southeast to northwest. The islands were created by a volcanic "hot spot" on the earth's crust pushing hot magma up through the crust into the sea. The oldest islands are in the northwest. Islands actually extend thousands of miles to the northwest but the oldest ones have eroded away by wind and water and gravity. Midway Island is over a thousand miles away from the major chain, but it, too, was near present Hawaii at one time. Hawaii (the Big Island) is the newest and it still growing as evidenced by its current vulcanism at Mount Kilauea. The next youngest island, Maui, had its last eruption in the late 1700s. This northernmost island is called the "Garden Isle" for its lush green ground cover. On the day we arrived the temperature was about 80 degrees and quite humid -- great weather if you are a green leafy aralia or fan palm. Where there are dry expanses of grass field tumbling down the hills on Maui, on Kauai there are blankets of green extending up to the craggy mountains at the island's center. The mountains were verdant, almost vertically wrinkled colossi extending into a cloudy sky. Rain intermittently covered the windshield on our thirty mile drive. The sun peeked out from behind the clouds from time to time. This brightness with the shadows of the trees directly in front of our rental car made driving the two lane road challenging. It's not that the sides of the road have lots of trees, it's that the trees by the sides of the road appeared to be being absorbed by more primal foliage growing out of a more ancient part of the island. We were staying at Westin Princeville Ocean Resort Villas, one of the Starwood Corporation's ever-growing network of vacation ownership (read "timeshare") resorts. Built on one of the last undeveloped ocean front parcels in Princeville, the resort is comprised of several three story buildings with studio, one bedroom, and two bedroom condo units on a picturesque bluff overlooking the Pacific. The resort ambience in understated elegance. Rates on its Starwood Preferred Guest website ranged from $320 per night (studio) to $750 per night (two bedroom villa). People we met at the resort claimed they'd received a $120 per night rate through Priceline. The main resort facility has a restaurant, workout area, upscale barbecue grill facilities, three pools each with an "infinity" feature with cascading water, and expansive lawn areas upon which many geese and chickens have taken up residence. It takes only a few roaming chickens to remind a guest that Hawaii and especially this smallest island are very rural environments broken up with occasional high-end resort properties of which Princeville is one. There is a full complement of concierge staff able and willing to assist with activities and restaurant reservations. Featured are helicopter rides (about $200 per person) and a variety of boat rides for snorkeling and viewing the towering cliffs on the NaPali coast west of Princeville. (Eighty percent of the island is accessible only by helicopter.) A nearby horse ranch has day trips into the interior for viewing of the tropical jungle and scenic waterfalls. Many activities are located back in the Lihue and Poipu areas but some are now available in and around Hanalei (less travel, more activity time). Two well-manicured golf courses are nearby and two of these border each side of the Westin. One advantage of staying at the Westin Villas is that guests have access to the nearby St. Regis Resort to the west on Hanalei Bay. This is the only five-star resort on the island and the Grill restaurant we visited on Mother's Day left my wallet $200 lighter after trying the "tasting" menu. While they do not have pool privileges, Westin guests have a special area of the lawn between the pool and the bay on which to luxuriate. This is intended to compensate for the Westin's not having easy ocean access as it rests on a bluff above the sea. There is a steep dirt (or muddy when wet) path that extends down about a quarter mile from the Westin to one terminus of Anini Beach where there is very calm water due to a reef about half a mile out. The beach can also be reached by car by driving east to an entrance a few miles away. The first hundred yards or so into the sea are very shallow though there is a coral and rock bordered channel. Both times we snorkeled there were disappointing as few fish were present and the silted bottom and even the coral outcroppings were a monochrome brown. It must be noted that in Hawaii, all beaches are public. However, nearby parking and access is sometimes difficult unless the beach is part of a state park. Reaching the beach often requires traversing a long path or accessing a trail between private homes. Never leave valuables in your parked car when you head to the ocean. Hanalei is the small town just west of Princeville though many signed seemed to indicate that Princeville is a region of Hanalei. Very touristy with abundant t-shirt, sun wear, and art boutiques, Hanalei is as laid back as one can get here. There are several restaurants but, as the noon hour arrived, Bubba's Burgers fit the bill. The burger was good though overpriced. The place has been a popular dining spot for celebrities (Bill Clinton, Jack Black and Ben Stiller, for example) given the photos on the wall. The road into the town passes some extraordinarily beautiful scenery of acres as of taro plants in patchwork of bogs backed by sweeping tall mountains. The area is reminiscent of theLi River Valley in the Szechuan province of China. And, yes, there are plenty of chickens scurrying around. Beyond Hanalei are a number of beaches and the Limahuli Gardens; a tour through a fascinating tropical botanical garden runs $15. (The gift shop proudly featured more photos of Bill and Hillary Clinton ambling through the gardens.) A favorite beach in this region is "Tunnels" Beach which is the informal name for the eastern stretch of Ha'ena Beach State Park. As in many public beach venues in Hawaii, the access trail can be difficult. The best way to get there is to park in the lot past Tunnels then walk about a quarter mile. There is ample parking (at least early in the day.) Avoid parking near private residences. Snorkeling here is much better than on Anini Beach. Large coral outcroppings extend up to twenty feet above the sea floor and the fish variety is significant due to the coral on which the fish feed. There are no direct flights to Kauai from the mainland U.S. though there are seasonal direct flights from Vancouver, British Columbia. Travelers will need to fly first to either Honolulu on Oahu or Kahului on Maui. The inter-island flights are short and our flight to Kauai was not much longer than our taxiing at the Lihue airport. United, Delta, American, Alaska, and Hawaiian are the major airlines from the states. As we live on the west coast, we like Hawaiian. Most car rental companies are represented at the airport and can be reached via a short van ride. Costco is ten minutes northwest of the airport; there is a Safeway and Foodland in Kapaa and a smaller Foodland in the Princeville Shopping area. Prices for food and gasoline are higher than stateside as might be expected. The Kukui Mall across from Costco contains a Macy's department store and several other small retailers as well as a Borders Books and Music at the mall's south end. Art shops with paintings, crafts, and Hawaiiana abound in each small town. We picked up some nice items in Kilauea east of Princeville. The only major hotel brand in Princeville is Starwood with its Westin Villas and St. Regis resort. Hyatt, Marriott, and Sheraton can be found at Poipu. However, there are many condo developments and timeshare resorts. Future visitors can look up these rentals opportunities through querying Expedia or other travel search engines such as Vacation Rentals by Owner. Rates for ocean view condos can run as low as $100 per night. While it is true that Kauai like all the Hawaiian Islands will someday erode into the sea from which they came millions of years ago, there is still plenty of time to enjoy this island which derives its magic and charm from its primordial beauty. And its ever-present chickens! About the Author: Roger and Donna Sauer are avid Disney fans who have visited every Disney park around the world. Their next Disney adventure will be the September westbound transatlantic cruise on the Disney Magic after traveling for three weeks in Italy, Greece, and Spain.